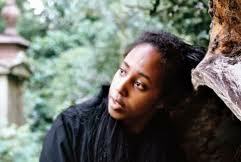 Cold Specks is the stage name of Londoner Al Spx, originally from Ontario, Canada, who has been making the most beautiful music, describing it in her own words as "doom soul". In listening to her songs, it’s clear that she’s been heavily influenced by American gospel from the Deep South, and this is very apparent in her latest single 'Blank Maps'. The track as a whole, like most of her music to date, is incredibly simple at its core, but it’s the instantly recognisable sound of Spx’s voice that draws the listener in and creates an emotionally captivating story. There is a slight feeling of fragility to the whole thing that gives it a sense of honesty, while at the same time filling it with real conviction when she sings the chorus line “I am a goddamn believer”. 'Blank Maps' is another strong track taken from her newly released debut album, ‘I Predict A Graceful Expulsion’, and the accompanying video is equally as beautiful. Stream the album below in its entirety, via The Guardian. ‘Blank Maps’ is out now, as is 'I Predict A Grateful Explosion', on Mute.